Sound Designer Tom Myers of Skywalker Sound talks about his work on Pixar’s Monsters University. In theaters June 21, 2013. In UK theaters July 12, 2013. In North American theaters June 21, 2013. 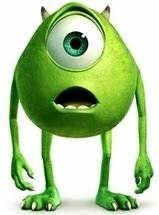 Disney/Pixar has revealed that the 2012 sequel formerly known as Monsters, Inc. 2 will be officially titled Monsters University. No word yet on whether or not Billy Crystal and John Goodman have signed on to reprise their roles, but it is expected they will be back. The sequel is rumored to be a prequel that follows Mike and Sulley’s days at the University of Fear when they were enemies, before they became the best of friends. This certainly ties in with the new title. FOLLOW THE ANIMATION BLOG ON TWITTER.